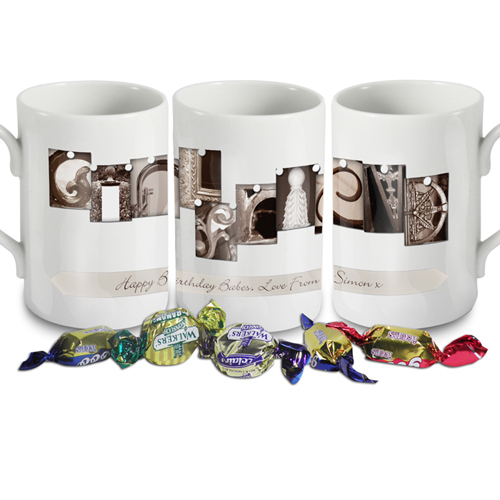 Personalise this Affection Art Girlfriend Mug, made up of architectural images with a message up to 50 characters. Comes with 5 delicious toffees! Ideal for Birthdays, Christmas, Valentine's Day.